This plentiful fish is a rich source of complete protein, selenium and vitamin B-12. Specifically, albacore tuna is a better source of heart-healthy omega-3 fatty acids than other tuna species. The essential omega-3 fatty acids in tuna lower the risk of heart disease. Tuna fish is packed with protein. A single serving of only 165 grams (approximately 1 can of tuna fish) contains more than 80% of your daily protein requirement. The B complex of vitamins has been connected with a wide range of different health aspects, but as a whole, they are mainly involved in improving the metabolism and increasing the efficiency of our organ systems, while also protecting the skin and increasing energy. 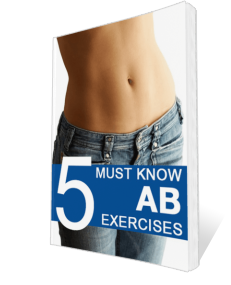 By consuming tuna fish regularly, you can ensure that you are active, energetic, and healthy. Helpful Health Tip: Although awesomely nutritious, canned tuna does contain levels of mercury and should be eaten sparingly especially by pregnant women and children. Additionally, when eating canned tuna, it is suggested to drain it thoroughly then rinse the fish again to remove extra sodium added during the packaging process. 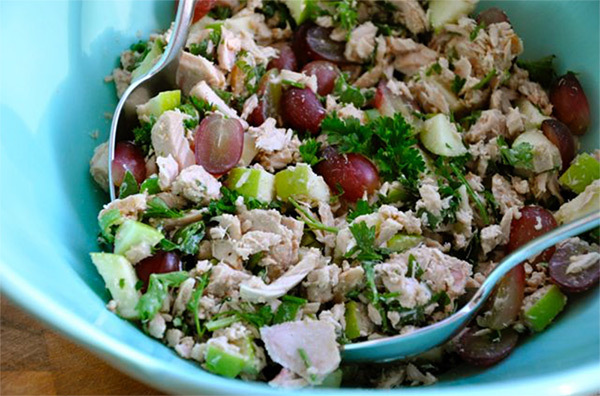 ​Here’s a simple and light version of tuna salad. It cuts out high-calorie mayonnaise and adds some chopped fruit and vegetables to really liven it up. This is a great recipe to enjoy as you journey towards your fitness goal.